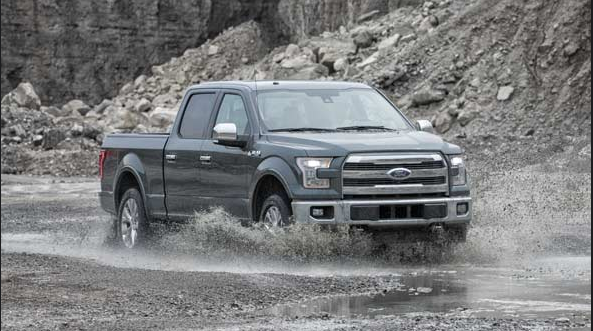 Truck trend, a division of motor trend, has just awarded the Pickup Truck of the Year award to the 2015 Ford F-150. On the one hand, we are humbled and grateful to accept this award. On the other hand, we’re not surprised. For over 100 years now Ford has been dedicated to providing quality vehicles that meet or exceed expectations at an affordable price to the consumer. You could say it's a testament to our efforts to achieve excellence in the face of stiff competition; because the most important winner of all is not us, it’s you. It's hard to say exactly what helped us separate ourselves from the pack. Was it our breakthrough aluminum body construction combined with lighter high strength steel for the lightest frame in its class? Or was it the F-150’s fuel economy as a result of its lighter frame and EcoBoost technology? Maybe it was our standout towing capacity. Perhaps it was a little of all these things. But, then again the award wasn't our focus. Our goal was to build a leaner, meaner, Ford tough truck and that no one had ever seen before. A truck you would be proud to own and tell your friends about. We asked one simple question “How can we help people get the job done better?" The result was the 2015 Ford F-150. Not convinced? We understand. But, don't “knock it till you try it”. Come down to the Olympia Auto Mall today to test drive the award-winning 2015 Ford F-150. Were confident you'll agree with the experts and take one home. If you're searching for new or used car dealerships in Tacoma, WA, offering the award-winning Ford F-150, the Olympia Auto Mall is your premier choice.